Generated ORM from project structs for compile time safety assurances. The fantastic ORM library for Golang, aims to be developer friendly. Simple and powerful ORM for Go. Go Relational Persistence, ORM-ish library for Go. PostgreSQL ORM with focus on PostgreSQL specific features and performance. Single interface for interacting with different data sources through the use of adapters that wrap mature database drivers. Simple and powerful ORM for BoltDB. Database migration, creation, ORM, etc... for MySQL, PostgreSQL, and SQLite. A better ORM for Go, based on non-empty interfaces and code generation. Stands for Query By Struct. A Go ORM. 100% type-safe ORM with code generation and MySQL, PostgreSQL, Sqlite3, SQL Server support based on GORM. 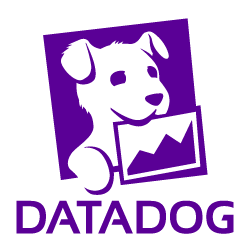 A blazing-fast datastore and querying engine built on Redis. An ORM generator. Generate a featureful and blazing-fast ORM tailored to your database schema. A flexible and powerful SQL string builder library plus a zero-config ORM. A simple and fast Redis backed key-value store library for Go. A lightweight, fast, orm-like library helps interactive with database. Simple and lightweight pseudo-ORM/pseudo-struct-mapping environment for Go. A powerful orm framework for go. Support: pq/mysql/sqlite3. Do you think we are missing an alternative of Marlow or a related project? There are no recommendations yet. Be the first to promote Marlow! Have you used Marlow? Share your experience. Write a short recommendation and Marlow, you and your project will be promoted on Awesome Go. Do you know of a usefull tutorial, book or news relevant to Marlow?